If the content is good enough to share and if the design is equally stimulating infographics are a great way to spread a message virally. Infographics are a fantastic way to display otherwise complex or dense information in an engaging and creative way. Infographics can form part of a larger piece of work and be designed to fit an article or to help bring an annual report to life, better still, they can form the look and feel of a campaign in its entirety. 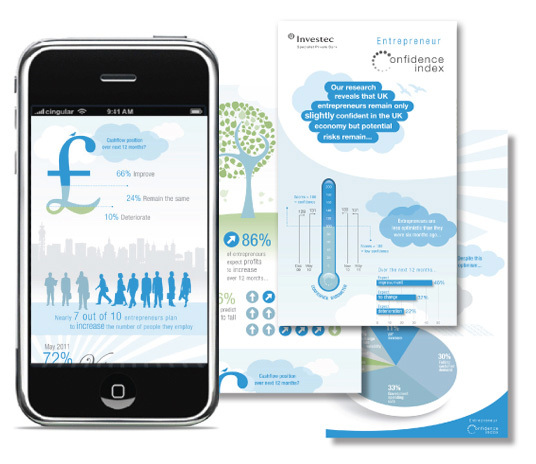 Brief: Create a series of infographics to document to confidence levels of entrepreneurs in across the UK. 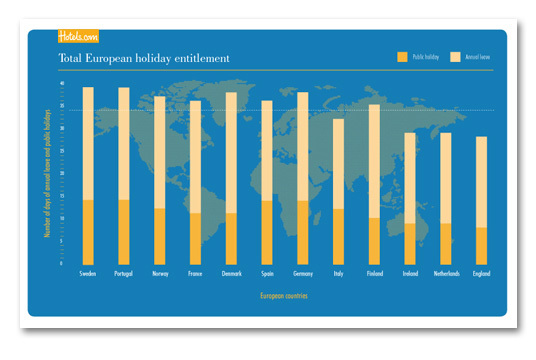 Brief: Design an infographic to bring a press release to life charting holiday entitlement across Europe. 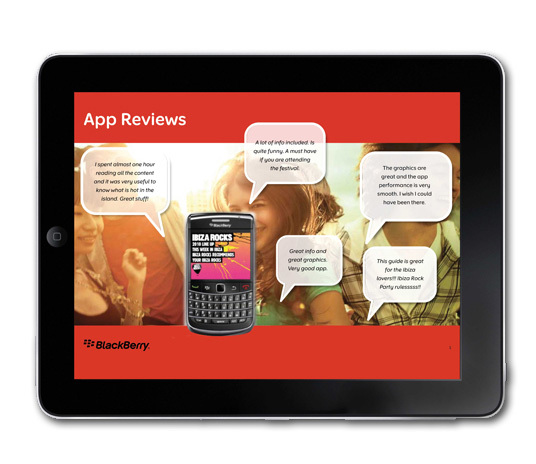 Brief: Design a presentation including a series of infographics to document a series of PR campaign success stories.